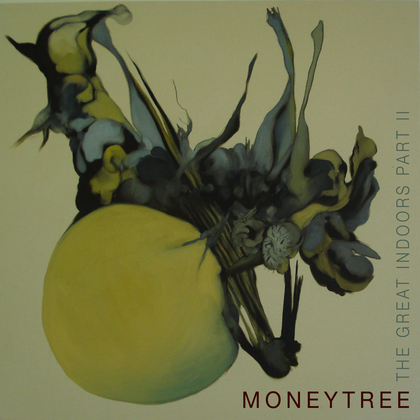 Part 2 of their ‘Great Indoors’ triptych sees Moneytree’s sound evolving to take in folk and club sounds as well as their more familiar alt-rock medley of abrasive guitars, off-kilter rhythms and soaring – yet warm – vocal melodies. Following a year of touring that saw them play UK festivals and support acts like Mystery Jets, Band Of Skulls and Thomas Tantrum, the four-piece returned to the studio in rural Wales with a clutch of new songs and legendary indie producer Joe Gibb (Leftfield, Million Dead, Murder of Rosa Luxembourg) at the controls. This record is the sound of a band growing up: more focussed and assured than its predecessor, ‘..Part II’ nonetheless allows the songs themselves room to breathe. There’s even space enough for a host of collaborators, including Rob Skipper (recently departed from The Holloways), Lonely Joe Parker and members of Mumford & Sons, Modernaire and indie-pop monarchs du jour, Mystery Jets.